Recently, we planned a trip to Barrie where we decided to take our Coleman NXT 300 with us to grill steaks as we traveled the two-hour trek. We love that the NXT 300 fits neatly into our trunk and that it’s light enough for even myself to maneuver. Since our kids are getting older (and more stubborn), we didn’t do much camping this year, so this little getaway was a treat for us. 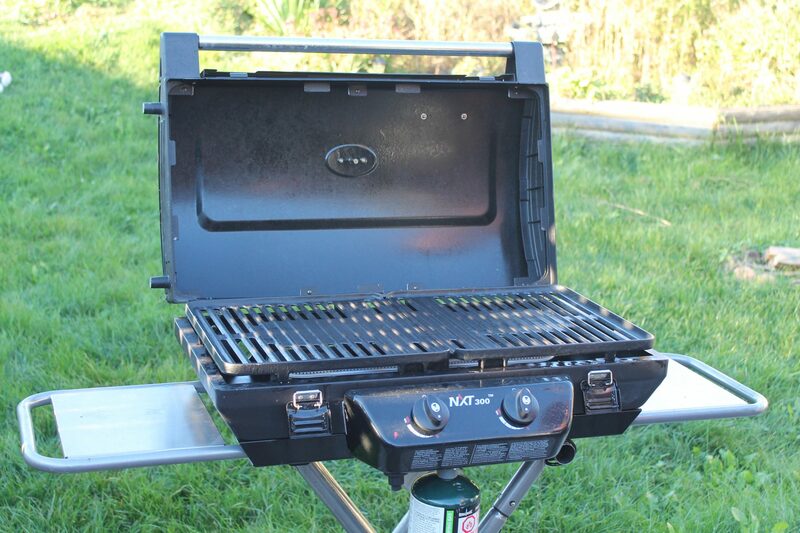 The Coleman NXT 300 is a fabulous grill that is easy to use and SO easy to clean. There is nothing worse than a grueling clean up job on a road or camping trip. We are the type of family who BBQ’s year round. I have never put a steak in a frying pan ever! If you’re a family who packs away your BBQ with the patio furniture, I highly recommend the Coleman NXT 300 so your family can easily have BBQ’s all year. Just put it in a small corner in your garage or storage area and pull it out when the urge to BBQ surfaces! 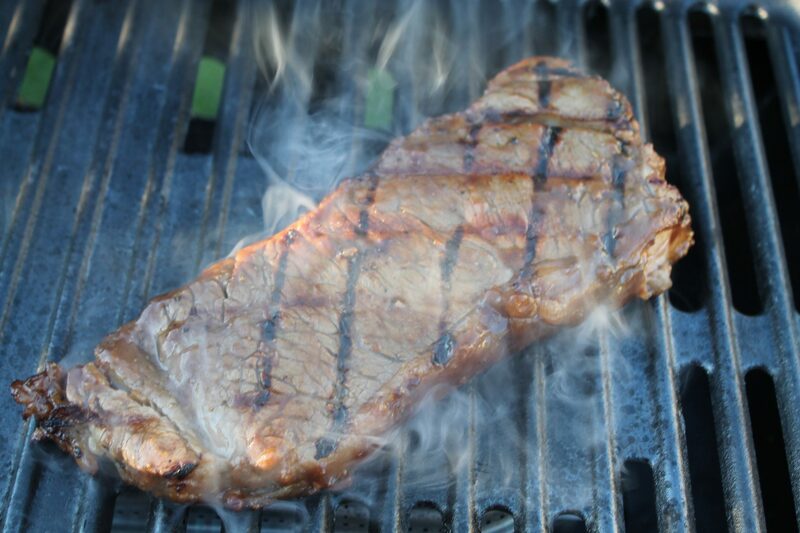 For those who are struggling with making a good steak, I’m going to share a fantastic marinade that is getting rave reviews from Gaspe, Quebec to Southwestern Ontario. My advice, let it sit for 24-48 hours for optimal results. If you like Black bean sauce add to taste. 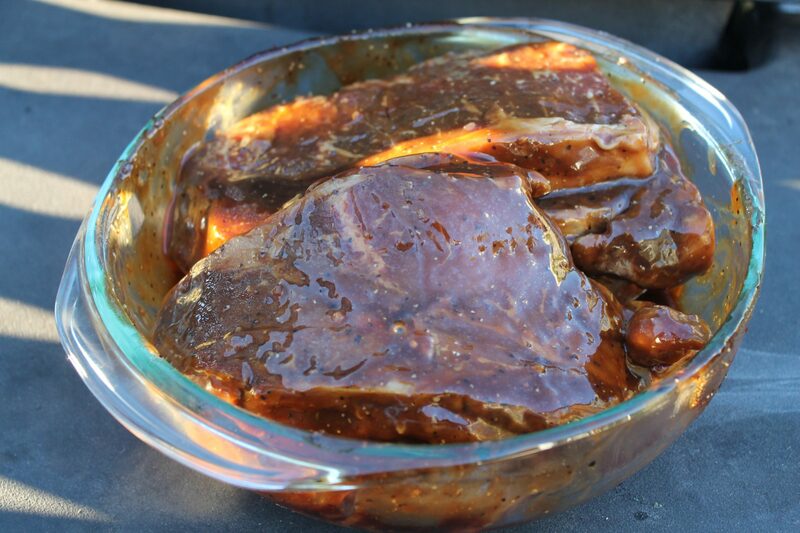 Marinade steaks for 24-48 hours. Place on grill and cook to your liking. Serve with a seven-layer salad and a baked potato LOADED!